Mariette is making her fourth Melodifestivalen appearance in a row following competitive runs in 2015 and 2017 and a participation in the 2016 medley during the finals. Having qualified direct to the finals with each entry makes her part of an elite few, but can she finally bring home the trophy and represent Sweden on a larger scale? 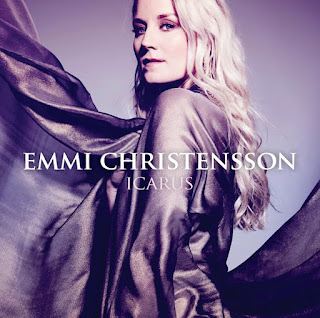 Once again her staging will be worked on by Zain Odelstål with a styling assistance from Dennis Brochner, who together have also designed this year's numbers for Benjamin Ingrosso, Mendez, Moncho, and Jessica Andersson. Her song "You" will see her standing along atop a pyramid, which clearly shows that her label is gunning for her to finally win. 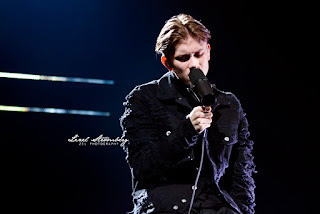 Mariette has often fared well with the juries in the finals but always seems to lose steam with the Swedish public's televotes upon reaching Friends Arena. Could Jörgen Elofsson's writing finally be the key to securing a victory? Only time will tell. Joey Toledo calls in a tip to Deputy Chief Cayman about a sighting of Black Lightning. Black Lightning is disoriented from the recurring headaches he's been suffering from lately and his powers are also on the fritz. Gambi picks Black Lightning up before the police can catch him and brings him back to the lair where he calls Lynn to help tend to him. She is angry that she is being pulled back in to the dangers his super heroism causes, despite her diagnosis that he was able to heal thanks to his powers, though his rate of healing isn't as fast as when he was younger. Anissa is reprimanded on campus for being involved in a protest where a Confederate general's statue was vandalized. Lynn observe the brain scans of individuals on Green Light and the scans she took of Black Lightning's brain. Her co-worker secretly observes her comparing the scans. Gambi visits Lynn to speak with her about his concerns regarding Jefferson, believing that he will kill the man who murdered his father. Gambi claims that his taking out Tobias will only end in the destruction of himself. Jennifer begins to be harassed with videos cyber-bullying her from the bully she fought back against. Jennifer has a falling out with Khalil who has been lashing out against her due to his anger and resentment over becoming paralysed. Anissa asks Lynn for help with some of the files she's been looking over. Lynn knows that she's hiding something and pleads with Anissa to tell her as soon as she can. Anissa agrees. Black Lightning heads out to confront Tobias, despite Gambi pleading with him to not do so. Black Lightning follows a lead by tracking down the doctor that treats his albinism. A protest breaks out at the confederate statue that escalates till a white nationalist drives a car through the crowd which results in the death of a student. Anissa uses her powers to destroy statue and then calls her mother, ready to reveal her powers just as soon as she can meet up with her. There is an attack at the hospital when some thieves show up and tie Lynn up. 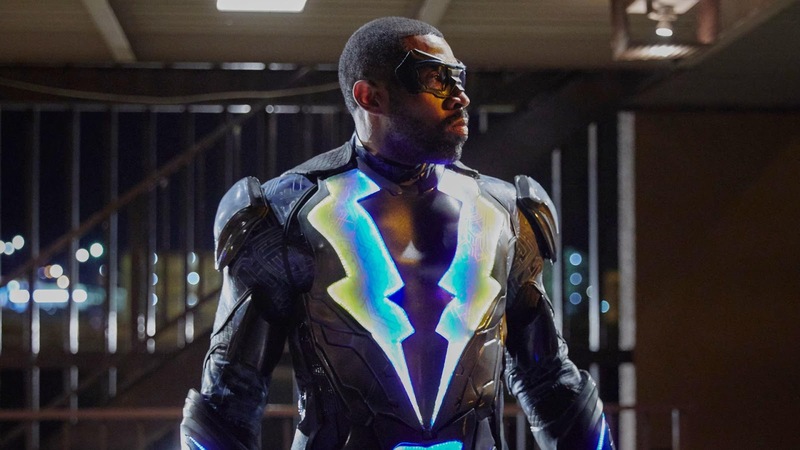 Anissa arrive and stops them and while trying to free her mother, Black Lightning arrives and the two get into a fight since neither of them recognise one another while they're in their costumes. After Black Lightnign injures her, he realises that he is fighting his daughter. Lynn and Jefferson call Gambi for help. Khalil decides to take up Tobias on his offer in order to hopefully be able to walk again. Gambi visits Lady Eve and is revealed to have been the one who trained her. He strikes up a deal to keep the Pierce family off-limits to The 100, who are on the path to try to stop Lynn's research. Lady Eve says they only wanted to take her files and weren't expecting to be her. Gambi lies and says he doesn't know anything about the new metahuman. Anissa wakes from falling unconscious and finally learns that her father is Black Lightning. 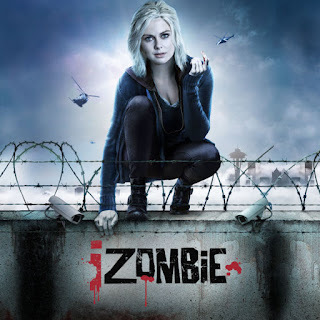 Seattle has been transformed to a quarantined zone known as New Seattle which is surrounded by a wall built by the U.S. Government in order to contain the zombie outbreak. The military working within the wall have also developed a zombie-guillotine as a zero-tolerance enforcement measure against zombies who make more zombies. 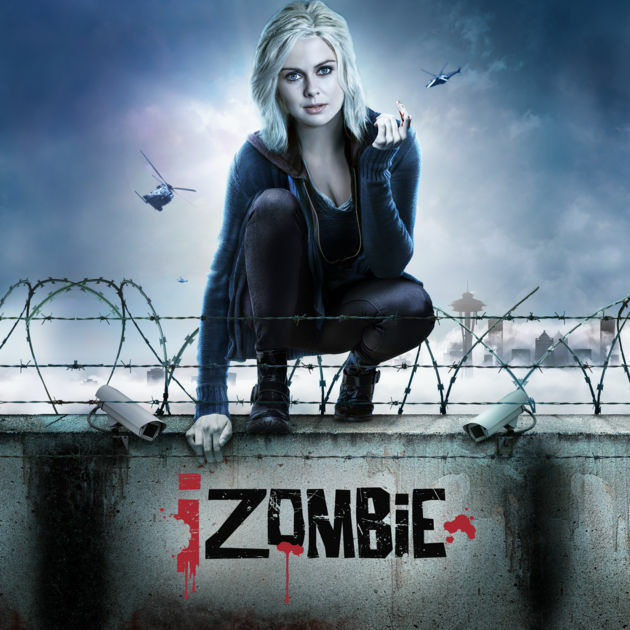 Liv and Clive are brought in to investigate the murder of a zombie-hating Seattle Seahawks fan who resented the town being turned into a zombie quarantine zone which in turn kept him from being able to enjoy the job he once had working at a sports arena. Instead he had to work at a packaging centre of human brain supplies to feed the zombies. Major is working on the military team to enforce a curfew when the group is attacked by some zombie-haters with Molotov cocktails. Major's boss tells him he needs to work with the young homeless zombies that have been kicked out of their homes by their bigoted parents. This role of mentorship is one that Major is familiar with and eager to take on once more. Blaine has been keeping his father Angus in a well as revenge for their past deeds. Clive and Liv visit the the murder victim Clint's family and learn that he was in a feud with someone from work named Doc. They bring Doc in for questioning and learn that he's from San Francisco and a fan of the 49'ers. He claims to have been home all night but surveillance footage shows that he went to work in the two-hour window that Clint was murdered in the grinder at work. He claims that he found 20 brain tubes in his bag when he got home and only came back to return them since stealing brains is a highly punishable offense. Ravi's zombie cure is revealed to have worked to a degree, but the side effect is that he relapses into a zombie of sorts but only for 72 hours once a month. During this time his hair begins to turn white and he craves brains just like a regular zombie. Major is shocked to learn that there are starving zombie kids on the streets struggling to get enough brains to survive while he has an elite military member has a consistent access to a significant supply of brain sustenance. Liv has a vision of the victim overhearing a member of the military saying he would be selling brains on the black market. Liv and Clive confront him at a bar but don't get anywhere. Blaine is the one running the bar and send them away. After Blaine angers one of his employees, the man decides to get revenge by freeing Angus from the well. The man wants a reward for freeing him but Angus kills him instead. Blaine is shown to still be pining after Peyton, who is dating someone new following the demise of their relationship. Liv and Clive determine that Clint's son Zorn had become a zombie through sexual contact with his zombie girlfriend. The two got in a fight in which Clint pushed Zorn down the stairs. Eventually Zorn's mother admits to killing Clint for making her choose between her husband or her son and she tried to frame Doc for the murder. Chase Graves reveals that the reason he asked Major to work with homeless teen zombies is to look for new recruits to join the military. He reluctantly selects two of the teens that he thinks stands out enough to join them in the ranks of keeping the peace in the city. Chase says that they will join Major's squad and he will be responsible for teaching them what they need to know to complete the job. Angus begins preaching to other zombies, beginning the path to being a new cult leader of sorts. Olivia Eliasson first garnered public attention for doing a cover of Anton Ewald's Melodifestivalen 2013 entry "Begging" on YouTube. It was an acoustic rendition performed on a guitar but now that Olivia is kick-starting her own solo career, she is taking a more glossy approach to her pop. 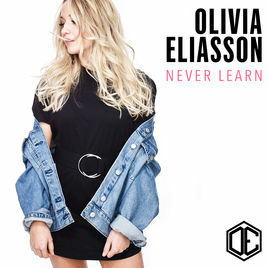 Her 2018 entry, "Never Learn," has a retro dance-pop flair in the chorus through the use of soulful backing vocalists. The song was written on by Anton Ewald himself along with fellow pop singer Astrid S. Now that she has her own opportunity to be the star of the show, Tomas Benstem has been brought on to choreograph a team of backing dancers all dressed in neon-yellow hazmat suits. 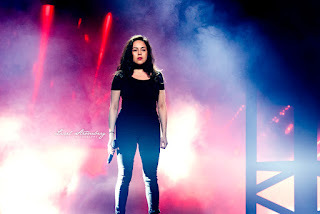 Ukrainian song contest Vidbir has come to a close and a victor has emerged. X-Factor winner Mélovin has won after a second run. 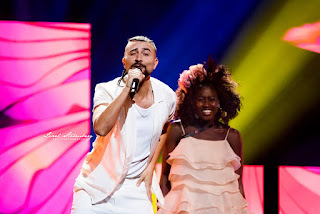 In 2017, he won the televote in the finals but could not win over the juries enough to place higher than third overall with the combined points. Now he has turned the experience of what he considers a failure into something more fruitful, as "Under The Ladder" was written from a place of wanting to persevere. 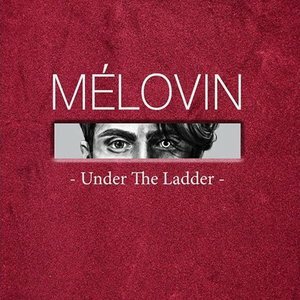 Sporting an eccentric look of ever-changing hairstyles and a single light-shaded contact, Mélovin's visuals are every bit as important to his artistry as the songs themselves. Though his career is still at the beginning stages, he has already garnered a devoted fan-following, affectionately known as "Mélovinators" to whom he credits much of his success. With a fiery stage show and energetic charisma having pushed him to victory, only time will tell how sufficiently he will maintain this momentum to Lisbon. Felicia Olsson's last run in Melodifestivalen came in 2013 when she finished a respectable fifth in her highly competitive semi-final with her song "Make Me No. 1". This time around, her song has a more modern flair to the production thanks to the work of famed composer Joy Deb. "Break That Chain" is a love-letter to the pop-diva ballads of the noughties. Her staging has been worked on famed artistic director Rickard Engförs. Whether this will be the relaunch of Felicia's pop career remains yet to be seen. Since her last run in the contest, she has become certified as a teacher in elementary school. Felix Sandman's sophomore foray into Melodifestivalen differs for a number of reasons. His 2017 premiere in the show was alongside his close friends Oscar and Omar, together with whom he comprised the group FO&O. They were often known for putting on shows jam-packed with choreography they often worked on themselves. 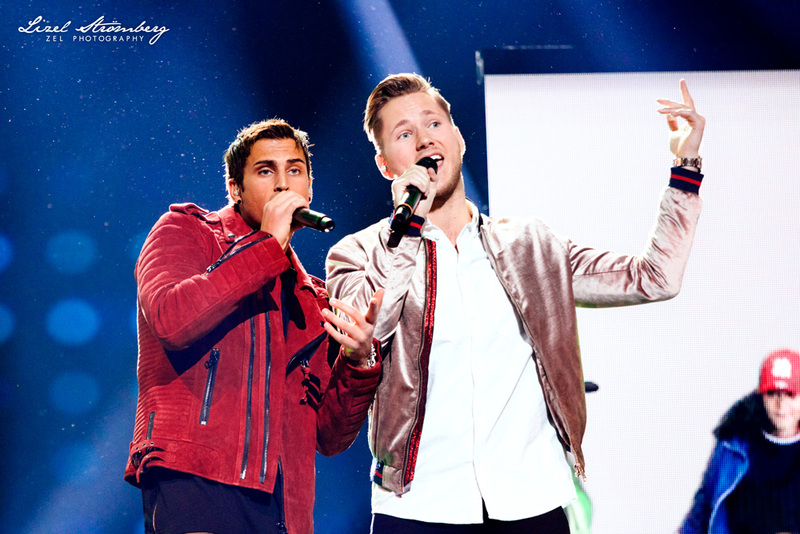 Their 2017 entry "Gotta Thing About You" was an uplifting pop song about love. But now in standing alone as Felix Sandman the solo artist, the show and song-narrative are considerably darker. "Every Single Day" is a deeply personal song about heartbreak following the demise of a relationship. The staging is minimalistic with mostly dim lighting. The camera shots are designed to focus in on Felix as he emotes the heart of a song he co-wrote on in Los Angeles. 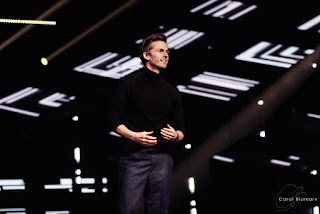 Despite being best known for flips and similar acrobatic tricks, this is an entirely new version of himself that he will debut on one of the biggest stages in all of Sweden. Karamazov tells Arthur that with the VLM approaching the city, the Terror is planning to detonate the VLM because the big bismuth within him will kill Superian since it is his weakness. Arthur's suit is crucial to all of this because it is the detonator to the explosion. Lint has Overkill in her captivity and interrogates him, revealing to the audience in the process that they used to have a relationship beyond that of hero and villain. But their entanglement ended with her using him in the Terror's plan to kill the Flag Five. She offers to help Overkill finally take out Terror by revealing the location of his tower. However, Overkill rejects her offer of aligning since he cannot trust her after all she's done. Dot disconnects the power in order to rescue Overkill and tells both him and Lint that they need some therapy to work out their respective issues. Karamazov alters the catalyser in the suit which disables Terror's remote detonation capabilities. Instead the detonation should shrink the VLM back to his normal size but only with a 20% chance of it working. Arthur and Tick head to the military blockade and share a pep-talk before they will take on the VLM. Karamazov is now functioning by using a robot suit designed by Kevin. He being to tell Arthur and Tick his story while they tend to Superian, who is burning up in temperature and still unconscious. Throughout all of this, Tick is also operating under the theory that he is actually a robot but Arthur tells him that he isn't one since he still has free will to do the right thing. Karamazov shares how he discovered a supply of "big bismuth" in the mountains of his home country. He used it to create a growth ray and tested it out while Superian was in in attendance. But the machine malfunctioned and Karamazov was shrunken to a small size. The government seized Karamazov's weapons in the hopes of using them to fight Superian but the Terror intervened and seized the weapons for himself. Karamazov continues on and shares that the entire supply of weapons and supply of big bismuth was destroyed by the Tick. Karamazov states that the big bismuth is responsible for Superian's sickness as well as the growth of the VLM. The Terror is planning to use the big bismuth inside of the VLM to kill Superian once and for all. While all of this is going on, Dot is following a lead on a mission the Pyramid Gang are going on. She decides to go after it and Overkill follows to help her out. Overkill ends up in a confrontation with Lint, who is able to overpower him with some gas. Dot shuts off the power to the building but Lint uses her powers to restore it, which triggers a ray which hits the VLM. This causes him to begin moving towards the city. Karamazov declares that this is the beginning of the finals stage of the Terror's plan. Midnight passes on the message to Superian about the return of the Terror and his plans to kill Superian, but Superian doesn't believe or take the threat seriously. Further proof will be needed to convince him of its validity. The Terror invades the main office of Brown Tingle Cola, a soda company he founded many years ago, with many henchmen. He resumes control and decides to use the office as his new headquarters. Arthur and the Tick decide to leave Overkill's lair to stay elsewhere but are approached by two diplomats, a woman and a robot, who are from Karamazov's home country. They are searching for Karamazov after receiving a tip from the Terror since Karamazov had defected from the country. The woman leaves them a card to get in contact with them if they hear from Karamazov. Arthur wants to find a tower to amplify the signal from the helmet that he believes is Karamazov trying to contact him. Superian ponders the possibility of the Terror being alive when he has a revelation about teeth when staring at the large naked man. Arthur and Tick return to Arthur's apartment and find that Kevin has tidied up the place. Kevin also helps them to amplify the signal of the helmet. This allows Karamazov to speak with Arthur, asking for help and to meet since now his own countrymen are after him due to the Terror framing him for the destruction of the lab. Dot visits Overkill and returns his gun. He determines that she has shot it 53 times and she admits to bringing it to a shooting range to try to learn how to protect herself. He gifts her with a gun better suited to her and begins teaching her how to use it. Arthur and Tick meet with Karamazov to try to learn more about the weapon that is supposed to kill Superman. Karamazov's head has shrunk even more but his head is now normal-sized. They must go on the run when the diplomats emerge, having bugged Tick's car to follow them to find Karamazov. Tick fights the robot and finds they are at a bit of an impasse in their fight moves and strategies. Tick wonders if he is a later model of the old, nearly out-of-comission robot. Arthur flees out back with the stroller Karamazov is hiding in. The female diplomat uses an explosive device to blow up the stroller but after she leaves, it's revealed that Arthur swapped it out with a frozen turkey Kevin gifted him. 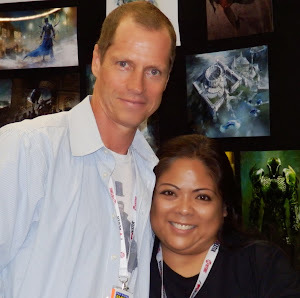 Sueprian discovers that Richter, the giant naked man, was the man who found the Terror's teeth on the day that Superian had apparently killed Terror. Superian realises that Richter is part of a larger plan and flies off. Arthur and Tick bring Karamazov to Kevin's 'office', hidden in an old robot head, with the intent that they will nurse him back to health. When Arthur and Tick return to Arthur's apartment, they find Superian waiting there, delirious and rambling about the plot to kill him before fainting. The origins story of the giant naked man is revealed. Clifford was a regular man with a wife and family but on his way to work, some masked men kidnapped him, pulled him into a van, and used a strange machine to make him giant. Arthur is reunited with The Tick, who has made it out of the lair explosion alive along with Overkill who only has some injuries. Overkill is furious that they lost the Terror and blames Arthur, and is ready to abandon them until Arthur mentions he met Karamazov. Once Arthur reveals how Lint helped him escape he realises that the escape was part of a larger scheme. Overkill wants to go into hiding and Dot tries to stop him but to no avail. 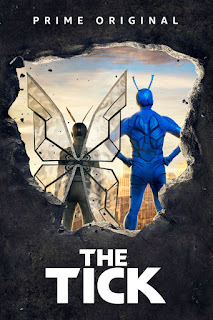 Arthur decides the safest course of action is to go on the run with the Tick to try to stay out of danger due to the Terror being on the loose. Before leaving, Arthur asks Tinfoil Kevin to keep an eye on the apartment. Lint takes over Rameses' crew, the Pyramid Gang, and orders his henchmen to now do her bidding. Arthur and Tick go to a book signing event of Midnight, a talking dog who was once a member of the Flag Five. The Flag Five was a superhero group that Arthur idolised as a child and the Terror killed the majority of. Arthur and Tick want to tell Midnight that the Terror is plotting to kill Superian and hopes that Midnight will pass on the message. While Arthur is being escorted out by security, he deduces that Overkill is actually a former member of the Flag Five who managed to survive the Terror's onslaught but ended up losing his eyes and hands in the process, which have now been replaced by robotic enhancements. Overkill was once 'Straight Shooter'. Arthur implores Overkill to tell Midnight about the Terror's plans to kill Superian. Eventually, Overkill agrees to confront Midnight. Despite his insistence, Overkill is unable to convince Midnight of the Terror still being alive so the two get into an altercation. Meanwhile, a mysterious car is shown to be following Arthur all over the city. Dot also begins to start practicing how to shoot a gun. The Tick is searching all over the city for Arthur, who was kidnapped at the end of the mid-season finale. Arthur is being held prisoner in a cell in the Terror's lair. In the next cell over, a Dr. Karamazov is also being held against his will. Karamazov was the man who designed Arthur's suit. Dot is also searching for Arthur and arrives at his apartment to find the door broken and all the wreckage on the walls from his being taken. She also finds Overkill hiding in a corner, not long after which The Tick also arrives since he hadn't yet checked Arthur's apartment yet. Dot informs them of how she overheard that Rameses has been killed, while Overkill shares how he heard Arthur being kidnapped. They decide to form a plan together to rescue Arthur from the Terror's lair. Ms. Lint gives Arthur access to his suit so he can use it to escape. As he makes his attempt, it's revealed that this is all part of a larger scheme orchestrated by Lint and Terror. Arthur puts on the suit and visits Karamazov to rescue him too. Karamazov has been shrunk and is half of Arthur's size. As they make their escape together, Karamazov turns on Arthur by punching him in the groin and making his own escape. Meanwhile, The Tick, Overkill, and Dot have teamed up and tracked down Terror's lair. The Tick and Overkill storm the lair while Dot stands guard just outside. The alarms have been set off, so once Terror and Lint get away they proceed to bomb the lair. Måns Zelmerlöw's single "Happyland" hits top spot on iTunes in Germany! 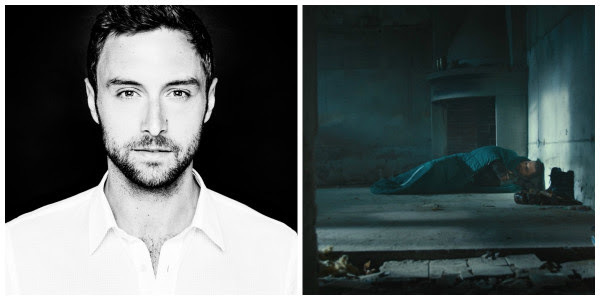 It is not only in Sweden that has fallen in love with Måns Zelmerlöws latest single "Happyland". The song has now reached the first place on the German iTunes! "Happy Land" continues to climb up on the other major music charts. Happyland is the fifth and last single of the album Chameleon and recently released the song's music video, which is a post-apocalyptic fiction. It is the film production POPE Productions together with Mans Zelmerlöw have created the scenes recorded from both Sweden and Iceland. Robert Gustafson will take his smash-hit band Rolandz and his other characters to enrich Rondo in Gothenburg in the autumn. 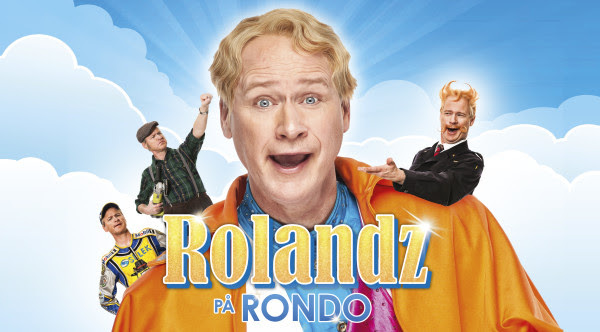 The show is called "Rolandz Rondo" and will premiere in September and they are likely to be both festive, popular and have a lot of 'fuldans,' of course. It was in 2011 that Robert Gustafsson last stood on the Rondo stage during which he made grand success with his acclaimed anniversary show. Now, one of our foremost comedians and actors is back and is bring everyone along with Rolandz on a sparkling show with a lot of bawling singing. 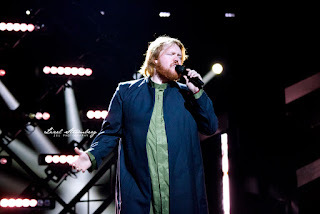 Cult band Rolandz had their breakthrough in 2008 and is now also present in this year's Melodifestivalen with his entry "Fuldans". Roland Järverup is the head of the band. The sympathetic Värmland, we met for the first time in "Screwed in Tallinn" and has become one of Robert Gustafsson most popular characters. Besides Roland, as appears also more of Robert's wildly popular characters in the show and entertains with both fresh and long-awaited material. Who could fail to love the jovial and spirited Greger Hawkwind, fire chief with his kilt, his heels and his pipe. And do not be surprised if even out-of Göteborg Wejron in the early morning, stepping forward with a clenched fist and thermos and calls to fight. Or why not the speedway legend Tony Rickardsson who is not at all bitter with no gas present their truths and makes us roaring with laughter. Besides all acclaimed performances on stage, so has Robert Gustafsson also made at least as many acclaimed roles in the film. He has been praised for its outstanding role performance in "Four Shades of Brown", he received a Guldbagge for 2004. Most recently, he has been praised worldwide for its amazing role performance in "A hundred year old who climbed out the window and disappeared" (the film is the biggest Swedish success ever and has been sold to 52 countries). For that role was Robert Gustafsson also nominated for Guldbagge for Best Actor. Presented by: 2Entertain and Vicky Entertainment Production. 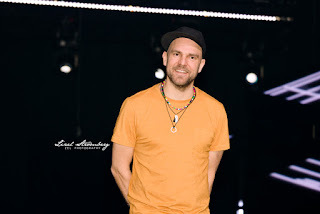 Axel Schylström has returned to Melodifestivalen but this time as a songwriter on Moncho's "Cuba Libre" entry. When asked if he would ever return to the contest, he professes a love for the show and competing. 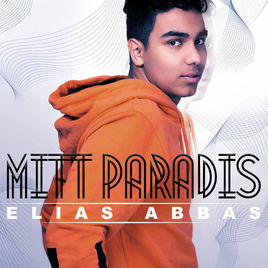 During his time on Swedish Idol, he missed out on competing and performing at the finals by just one week, only to have the same thing happen in his Melodifestivalen debut when he was eliminated during the Andra Chansen duels. If and when he competes again, he will only want to do so when he feels he has the right song to take him all the way to the finals. 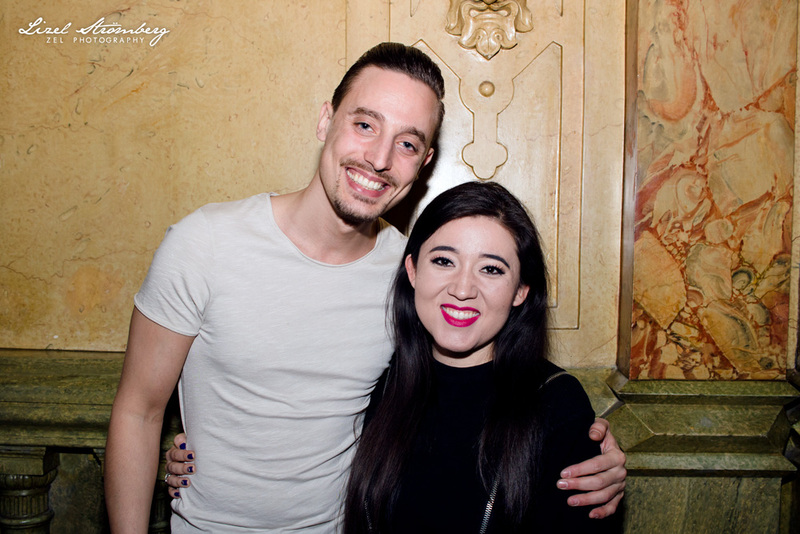 In addition to working on new songs, Schylström shares that he is working on a new autobiographical book intended to help inspire and motivate others to overcome their personal challenges. He will embark on a tour throughout Sweden this fall on which he will give speeches to those in attendance as well as perform songs. Dotter is one of numerous newcomers to this year's Melodifestivalen, and in the week of her semi-final she has garnered the attention of bookies and international fans alike to be a favourite to do well. 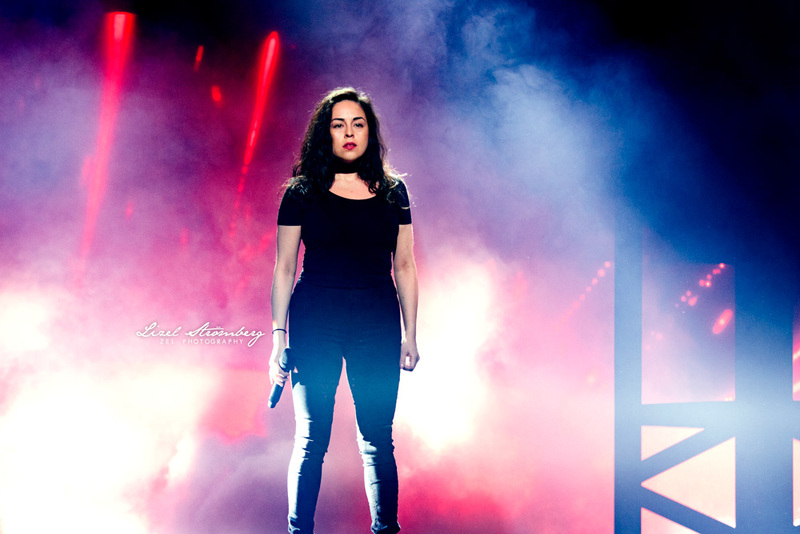 Her song "Cry" was written on by the legendary Linnea Deb and the staging was designed by Rickard Engförs. The lighting is mostly dark with explosions of white to punctuate select moments of the song. Jessica Andersson has returned once again to Melodifestivalen and has brought a Fredrik Kempe-penned song called "Party Voice". The staging and choreography has been worked on by the iconic duo Zain Odelstål and Dennis Brochner. The number is designed to highlight a fierce diva attitude that transcends stigmas about women as they get older. It's glittery, sparkly, and has plenty of wind machines. Costa Leon is a composer and DJ that has been working on the releases for his own music career. But in teaming up with fellow Malmö-based composers Andreas "Stone" Johansson and Denniz Jamm, they have created one of the most popular hits of this year's contest, "Shuffla" by Samir & Viktor. Leon has also worked with Johansson and Barbi Escobar for her own Melodifestivalen entry, "Stark". With Greek origins and a vibrant charisma, Leon has all the makings of another rising star in Sweden's music industry. After a run on Sweden's Next Top Model, Leon hoped to use the newfound attention as a promotional boost for his music career. But as so many reality-show stints go, the attention faded, and now Melodifestivalen is proving a fruitful endeavour. Only time will tell how Leon's momentum tracks following the contest wrapping. Martin Almgren won Swedish Idol due to his strong voice and likable charm. 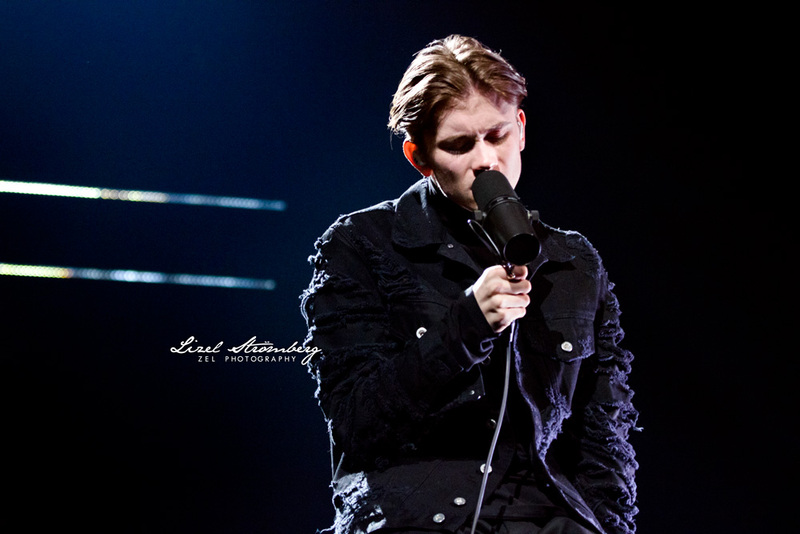 Now he is bringing that same likability to Melodifestivalen with his song "Bitter Lullaby". The performance is simple with no tricks or gimmicks. True to Martin's own personal style, the show is supposed to stay focused on his voice and connection to the audience. As Almgren was subject to bullying growing up, he hopes that this number will inspire other young people to not feel alone or helpless in similar situations. Moncho is a Cuban-Swedish hip-hop artist best known for releasing hip-hop/rap tracks with hard-hitting beats. He's also the brother of famed artist Dani M. When Axel Schylström and the other composers of "Cuba Libre" put the song together, it was up to Universal to find an artist to perform the song in the contest and they reached out to Moncho. Though the style is a shift for Moncho compared to his back catalogue, this presents a unique opportunity for him both creatively and professionally. Not only does he get to experiment with a different genre in music, he can also get tremendous exposure from being on Sweden's largest television show. Moncho has collaborated with artistic directors Zain Odelstål and Dennis Brochner to put together a bright, colourful number that establishes a fun, wholesome party atmosphere. Despite being a competitive underdog, it's Moncho's positive attitude that only allows him to enjoy the experience for all that it has to offer and staying grateful all the while. Méndez is a prominent name in the Melodifestivalen hall of fame. 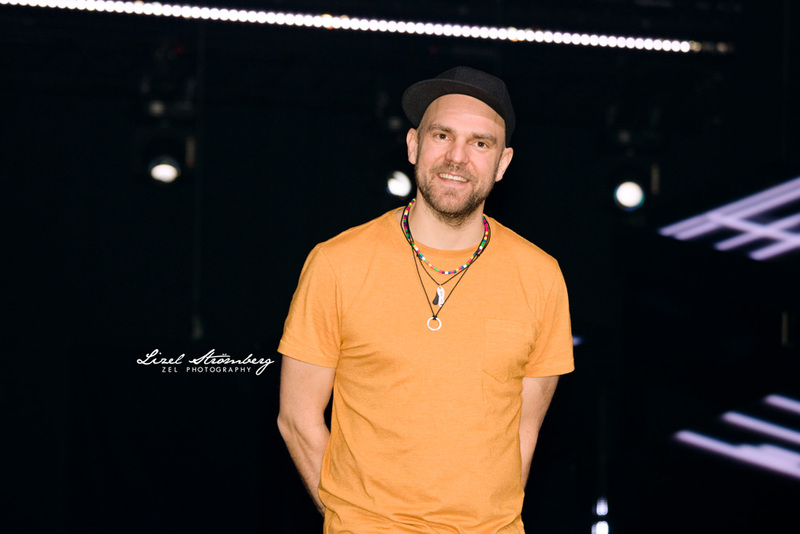 Back in 2002 when the semi-final format was first introduced, he finished as runner-up to Afro-dite's "Never Let It Go" with his song "Adrenaline," an energetic Latin pop song that he would return to perform in the 2016 medley of the contest's greatest hits. 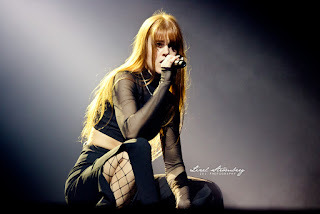 As Méndez returned to the contest in 2003 but only finished in Andra Chansen, Méndez hasn't been particularly active in Sweden's music/entertainment industry for a good fifteen years. Though he has made other attempts to return to the contest before now, this was finally the right song that gave SVT the push to allow him back in. He has kept busier in his motherland, Chile, where he has not only continued to be a musical artist but appeared on a reality show with his family "Los Méndez" and run for mayor of his hometown to bring about necessary change. Despite not winning his mayoral race, Méndez is happy to have worked well with the other candidates to get the former mayor out of office. Whether it's music, television, or politics, Méndez always aims to bring about a positive energy that can inspire others to make the world a better place and to spread happiness. With this 2018 entry "Everyday," Méndez's joy for being on stage in front of an audience radiates from his entire being. He has worked with Zain Odelstål and Dennis Brochner to create a show that uses warm colours to cohesively bring together the tone of the song and Méndez himself. 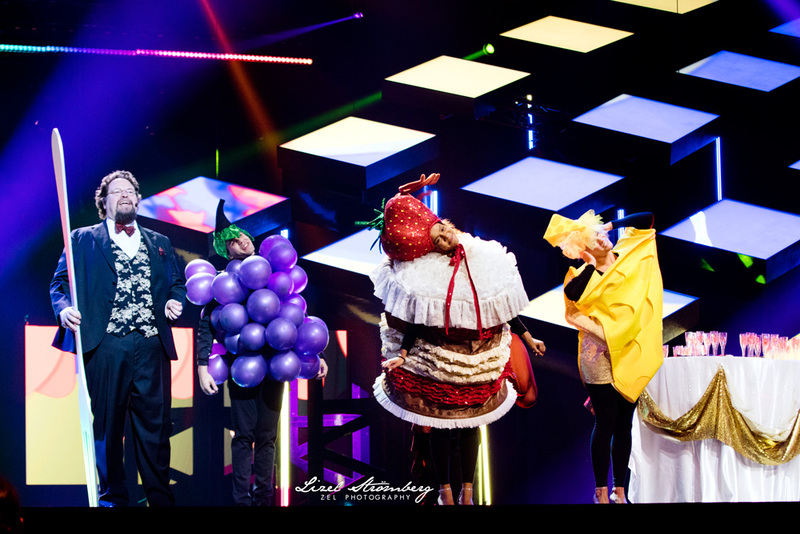 David Lindgren has quickly risen the ranks of Melodifestivalen-royalty. With three direct qualifications to the finals as a competitor, and a second run as host of the contest, the question remained of how he could top himself. Enter one Sacha Jean-Baptiste who has worked with David Lindgren to put together a truly iconic opening number in which he shows off a whole new set of skills never seen before: pole-dancing. Whatever the rest of 2018 may bring, we can at least be grateful that it brought us this priceless gift. Margaret "In My Cabana" Composers Anderz Wrethov and Linnea Deb are a HOOT! Swedish composers Anderz Wrethov and Linnea Deb are no strangers to writing hits for Margaret. They previously worked together to pen her smash-hit "Cool Me Down" and Wrethov also worked on her other hit in Sweden, "What You Do". There's no doubt that these two have a knack for writing hits, both for Margaret and numerous others. But what's even more compelling about them is the genuine joy they have for creating. While some will analyse "In My Cabana" with all the critical nitpicking one can muster to drain the fun out of a party like Melodifestivalen, there is plenty of thought that has been put into creating the entry. It would be easy and predictable to put out another 'banger' to follow in the steps of what's already done well for Margaret in Sweden. But in order to try to establish a greater longevity to her appeal in the Swedish market, Margaret must display a greater range in the style of song she can have become a hit in Sweden. Anderz Wrethov and Linnea Deb have tremendous energy and charisma, as well as a true zest and humour. 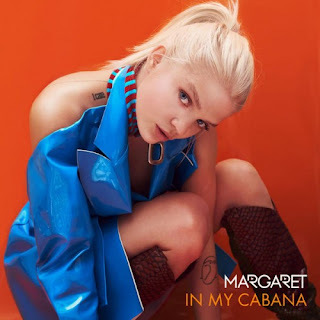 It's this same appeal that translates well when we sit down to talk about their song as well as the infectiously fun entry that can charm a whole new fanbase for Margaret in the Swedish public. Gambi makes alterations to Black Lightning's suits to allow him to fly. He enjoys testing out this new trick but begins to experience severe headaches. Black Lightning also saves another young black man from being killed by the cops due to being on a rampage for Green Light. While Jefferson continues to test out the flight on his suit, Gambi is visited by Tobias who wants to know the identity of Black Lightning. Gambi claims not to know and reminds Tobias of the serum he took to keep him from aging as well as the fact that Tobias has broken their deal by coming to him. Tobias then leaves with his henchwoman. Jennifer gets attacked by some schoolmates at a skating rink so she fights them off with no real injury to herself. Jefferson continues to suffer from headaches while helping out a local man get some medicines for his sick daughter. He later tracks down a supply of Green Light and traces it to Joey Toledo. The headaches get worse until he passes out unconscious and Gambi calls Lynn to treat him since bringing him to the hospital will only cause more problems. When Jefferson wakes up, Lynn implores him to stay in for a while in order to rest. Tori tells Tobias he needs to deal with his first enemy in order to resolve certain unresolved issues he has within himself. They had an abusive father, Eldridge, whom Tori has finally tracked down. Anissa begins researching about people with enhanced abilities and discovers that her grandfather, Alvin Pierce, had written a story on the disappearance of nine enhanced teenagers. The newspaper refused to publish it and Alvin was murdered a week later. Anissa visits the editor of the paper who shuts down her questioning and says that "they" are still watching. The only thing he is willing to give her are some files with leads she can follow. One of the girls that Jennifer defended herself against visits Jefferson and Lynn with her mothers. They make peace with the girl and her mothers, who all leave when Jennifer comes home. They reprimand her for her actions but Jefferson is also impressed to learn that it was two girls she defended herself against without having any injuries of her own. Tori and Tobias visit Eldridge who is an elderly man who remains unapologetic for his treatment of them as kids. Tobias breaks his back and convinces Tori to leave him to die. Anissa goes out shopping in search of supplies to put together an outfit to use as a supersuit while she follows the leads to a storage unit. Black Lightning gets a tip from Inspector Henderson that he follows up on to confront Toledo. Bambi warns him not to go considering the headaches he's been having but Jefferson insists on going. When Black Lightning confronts Toledo, his headaches flare up and cause him to be incapacitated. This gives Toledo the opportunity to escape and on the way out, he declares that Tobias Whale will kill him. In true Melodifestivalen tradition, the most competitive line-up has been drawn for Göteborg. In their return to the contest, Samir & Viktor have brought their most impressive entry yet, "Shuffla". With a catchier melody, more diverse genres incorporated in the production, and actual choreography that they perform with their dancers, Samir & Viktor have elevated their capabilities as entertainers to a whole new level. Margaret enters as a fan-favourite among Melodifestivalen viewers for her previous pop bangers including "Cool Me Down" and "What You Do", both of which brought her success outside of her native country Poland and onto Swedish streaming charts and television programs. Now she has brought a lighter but nonetheless stellar "In My Cabana" complete with intricate camera works to show a narrative of having fun with her dancers and getting her flirt on all the while. LIAMOO shot up to number one in the betting odds early on, along with other bookie-favourites Benjamin Ingrosso and Mariette. 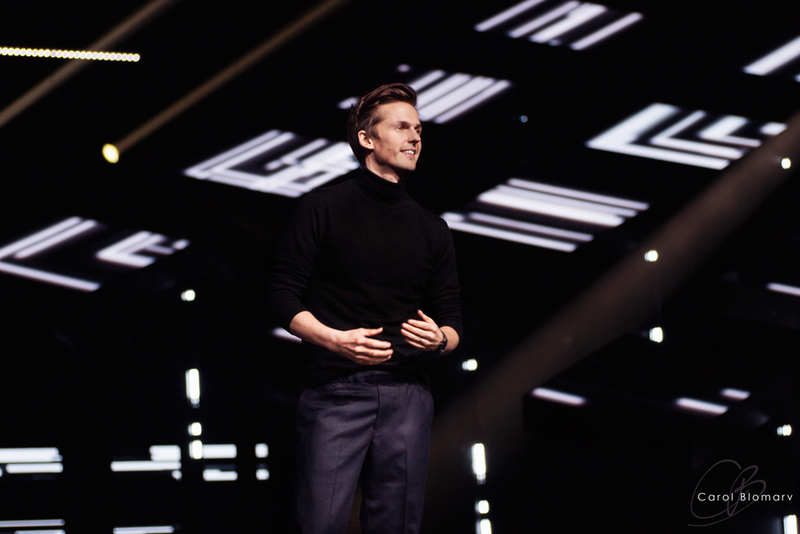 After winning Swedish Idol, LIAMOO spent much of his tie touring across Sweden and only releasing a couple singles along the way. 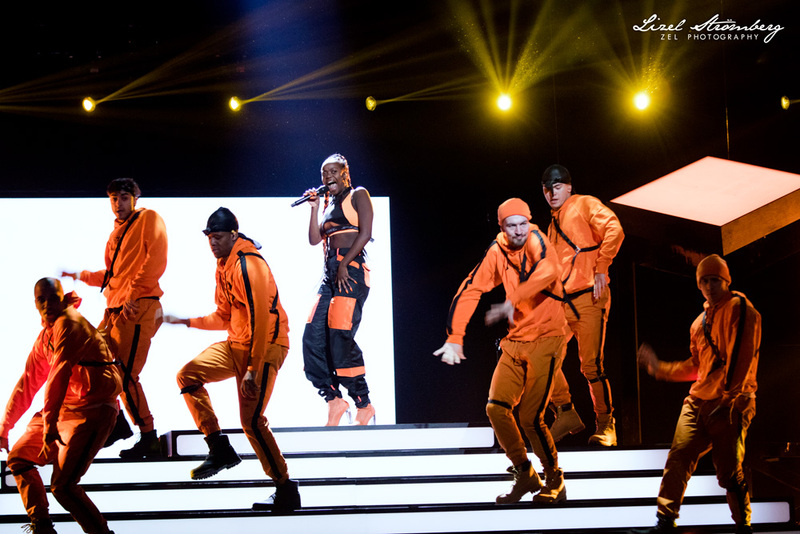 Now he has teamed up with famed choreographer and artistic director Sacha Jean-Baptiste to create an intimate, well-designed show with dark colours and close-up camera shots to allow viewers to better connect with LIAMOO and the lyrics he worked on himself. Ida Redig is a force to be reckoned with. Not only does she boast an impressive catalogue of catchy pop tracks, her relentless work ethic has led to her building her own studio and finding creative ways to get music videos made for each of her singles. Now she is bring that same clever resourcefulness to Melodifestivalen with her newest song "Allting som vi sa", a love song that will be presented with a glittery display. Redig assures us that the number will maintain her artistic identity, as opposed to warping it to pander to what some believe is the 'right' approach when entering the contest. Already her participation has boosted her profile, as the most dedicated fans have taken the opportunity to research her bountiful back catalogue and found many new releases to add to their playlists. 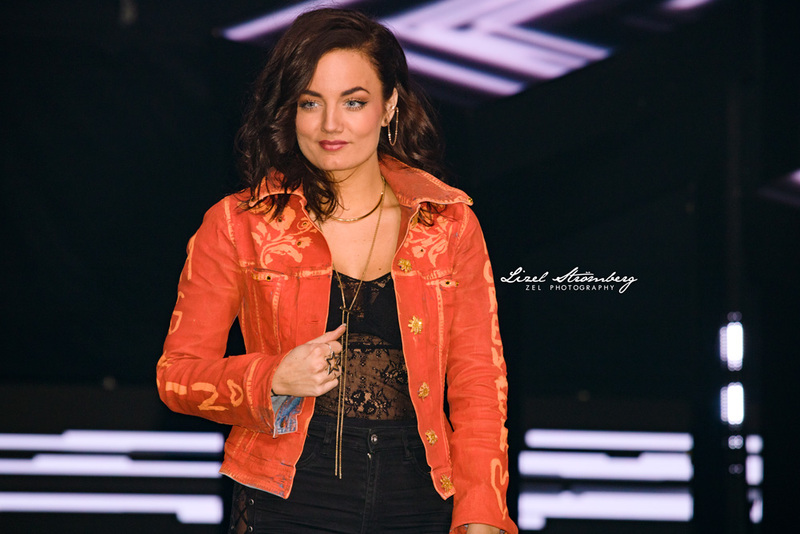 Mimi Werner became a fan-favourite among international Melodifestivalen viewers during her 2016 participation with her country-pop banger "Ain't No Good". Now she returns to the contest with an anthemic, brightly orange entry, "Songburning". With dancers pounding on drums and a fiery rain to come pouring down during the song's final chorus, Mimi is bringing her full pop power to make the most of this second chance at qualifying past more than just the first round of semi-final voting. But will it be enough in yet another jam-packed, competitive semi-final? LIAMOO, winner of Swedish Idol 2016, is set to make his Melodifestivalen debut with a song he co-wrote called "Last Breath," one that he promises to be both personal and epic. With a multicultural background of heritage including Filipino and Finnish roots, LIAMOO is no stranger to approaching music with an open and creative fusion which intermingles various genres. He sings, he raps, and he always aims to look his best in how he presents himself as an artist. "Last Breath" will also be staged by famed artistic director and choreographer Sasha Jean-Baptiste, who presented LIAMOO with a mood board which he gave his approval to. 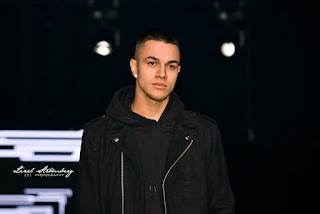 With a considerable amount of buzz surrounding him, and even theories that he will win the whole contest, LIAMOO admits to not being aware of his rise to the top of the betting odds until his father told him so. But he is flattered nonetheless by the vote of confidence from the public and their belief in his ability to succeed. 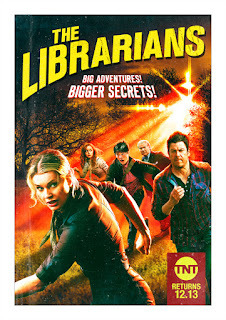 Nicole is revealed to have knocked out and kidnapped Flynn when he had chosen to stay with Baird and tether to the Library. In the present, Eve follows a lead Flynn left her on a TV ring. In this new alternate world, Eve tracks down Jake and brings him along to try to find the others, though he only remembers working in the Library as a sort of dream as opposed to remembering it as a true memory. They track down Cassandra next working at a paper company and Eve finds she is struggling to remember the Library as vividly as when she entered this world. Finally they find Ezekiel working as a television host. Here he is the most famous person in the world. Eve continues to struggle with a rapid degeneration of her memory until she is confronted by Nicole, who puts her into a mental institution. While inside, she meets Flynn but the two don't remember one another. 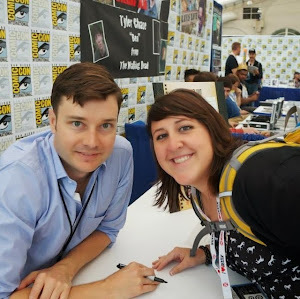 Flynn is reprimanded for making trouble, which leads to Nicole punishing him with electroshock therapy to try to push him to forget his former life entirely. Meanwhile Jake and Cassandra recruit Ezekiel, who is convinced to join them due to his instincts and his otherwise inexplicable ability to know Cassandra's name despite her never having told it to him. Eve tracks down Flynn and the two are able to reconnect their relationship as well as regain their memories. Nicole catches them and orders that they be lobotomized. Jake, Cassandra, and Ezekiel rescue Eve in time, and together they manage to rescue Flynn. They all run away while being pursued by Nicole and her minions but eventually find themselves trapped with no way out. Flynn instructs them on how to remanifest the Library, which restores the world but Jenkins is still dead. Flynn uses an artifact and has Nicole help him with it so he can go back in time and right his wrong of never having gone back for Nicole. Flynn tells Nicole that she needs to stay in the past but convinces her to have adventures for the Library instead of going against it. As a result, she never became immortal. When Flynn returns to the present, time has been restored and none of the evil Nicole caused has taken place. Flynn and Eve are the only ones that remember the other world and are overjoyed to find that Jenkins is alive and immortal once more. They then decide to undergo the tethering ceremony as Librarian and Guardian. The Librarians is available on streaming and on-demand platforms. Jefferson is called over to check on a student freaking out in the bathroom. The student, Bernard, had taken a new strength-enhancing street drug called Green Light. He rips a urinal off the wall and throws it at Jefferson before charging at him. Jefferson is forced to use his electric powers to knock Bernard unconscious to prevent him from hurting anyone or himself. Jefferson discovers the green pills and takes them to investigate further before anyone else can take them. Anissa stops some local drug-dealers from selling some green pills to two of her students. Jefferson brings the pills to Gambi, who tells him about Green Light, the new drug he's been hearing about. Jefferson is concerned by the escalating attacks on the city by the One Hundred. Jefferson goes out as Black Lightning to interrogate some of the low-level drug dealers to try to find out who is in charge of these deals. A drug dealer tells Black Lightning to go after Two-Bits, and where to find him. Lady Eve reprimands Tobias for his failure to kill Black Lightning. Tobias is revealed to have entered the criminal world after being forced out of the world of legitimate politics because he had supposedly been the one to kill Black Lightning. His death was what gave him clout but now people are starting to question him. Tobias promises Lady Eve that he will take Black Lightning out, and she wants it down without making so much of a mess to the people in the city. The school board wants to expel Bernard but he and his father have a meeting with Jefferson, who insists that he will not have Jefferson expelled. Jefferson will not be able to go to any of the colleges that have accepted him if he is expelled, and his father insists that he give up the name of the person that supplied him with the drugs: Ronald Wright. Jefferson calls Gambi about Ronald Wright and Gambi tells him that Wright is dead now for having overdosed on his own supply. Khalil begins physical therapy following his spinal injury from being shot. Jennifer is devastated by the trauma of the incident. Khalil's mother has been taking extra shifts to pay for the hospital bills so Jennifer insists on quitting track to help take care of Khalil. Jefferson doesn't want her to quit but Jennifer insists that she was only running track to make him happy. Tobias confronts the morgue doctor that had told him Black Lightning was dead, beating him badly while interrogating him. He then has Joey Toledo beat the doctor to death. Anissa goes out in a black hoodie and uses her strength to fight off the drug dealers she had got into a confrontation with earlier. She is alarmed by seeing the severity of their injuries and calls an ambulance to help them. Jefferson goes out to meet Two Bits, who was an old friend of his from his track days. He warns him that the Green Light business is a bad one to be in, but Two Bits says that he doesn't have a choice since he needs to make money to provide for his family. After meeting with Gambi, Jefferson proposes that Black Lightning should be the one to visit Two Bits to get more information from him. Two Bits agrees to give him the information he needs to know and stop dealing drugs if he doesn't call the cops since doing so would get him a third strike and 30 years in prison. Jefferson gets the location of a warehouse. Tobias' sister Tori arrives to help him with his quest to take out Black Lightning once and for all. The school board tries once again to expel Bernard, against Jefferson's wishes. But Jefferson has to follow the lead to the warehouse with the help of Gambi talking to him from back at the base. Jefferson also has a new upgrade on his suit that allows him to see all the electrical grids within a certain proximity to him. Anissa and Grace are confronted outside a bar by some thugs that have been harassing the lesbian bar Grace bartends at. The thugs knock Grace out so Anissa uses her strength of fight them off and knock them out. Jefferson is summoned to the scene by the sound of an explosion. Gambi lies to Jefferson and claims that the security cameras didn't catch anything. He later returns to the scene and takes a photo of Anissa's footprint, and erases the security footage. Khalil receives the bad news that now his spinal cord is completely severed so there is no chance of him ever walking again. This gives Jefferson the push to make another stand to save Bernard from expulsion but in the future he will not be able to have that final say on disciplinary matters for the students. Jefferson gets a call from Bernard's father saying that he had gone looking for more Green Light but when Bernard's father tried to get him back, some of the One Hundred pistol-whipped him and now the cops won't do anything. Black Lightning heads to a drug den and saves Bernard. Later as Jefferson, he puts Bernard into rehab. Tori proposes to Tobias that they turn the people's opinion against Black Lightning. Tobias then visits Khalil in the hospital, pays his medical bills, and tells him that Black Lightning is the reason he will never walk again. Swedish Idol alumni Renaida is making her Melodifestivalen debut with an orange-tinted pop banger, "All The Feels," that serves attitude, choreography, and one hell of a drop. Renaida also has experience on the big stage from singing as Poli Genova's stand-in during Eurovision 2016 (in Stockholm). She knows how to work her angles and keep her eye on the camera despite being newer to this particular contest. It's unclear whether or not the people around her will give her the opportunity to make a music video for the song, but Renaida says she has been working with the same team that works with Melodifestivalen-winner Frans, and has every interest in making videos for her upcoming content. Edit: Renaida has qualified to the Andra Chansen round and will sing again for a chance to perform in Friends Arena for the finals. 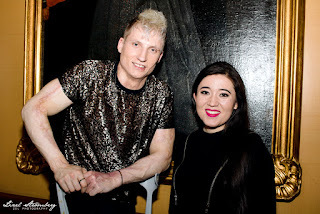 Sigrid Bernson is best known to the Swedish public for being a professional dancer on the Swedish version of "Strictly Come Dancing" on which she has taken home the victory three times, one of which was with Benjamin Ingrosso. 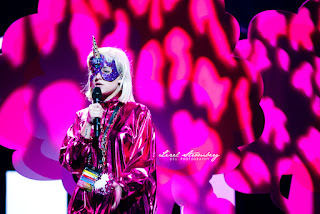 In more recent months she has taken on the title of pop artist with a series of single releases. Now that she has made it into Melodifestivalen, she will premiere a song called "Patrick Swayze" with a staging designed around her signature colour of yellow and her stand-out charisma. John Lundvik has spent many years in Sweden's music scene as both a songwriter and demo vocalist. He has often teased at being a solo artist but this is one of the biggest steps he has taken to showcase himself, with his only other brush with the contest being a participation as a songwriter for Anton Ewald's "Natural" back in 2014. His song is a moving ballad that he wrote about his desire to break out as a solo artist and will feature a simple staging that keeps the focus on himself and his vocals. Kasius mourns the loss of Sinatra on the Zephyr, while the team onboard are formulating a plan to get to Flint and rescue all the imprisoned Inhumans. Kasius infects Tye, the trainer of Inhumans, with an ominous substance that triggers maniacal behaviour. Kasius then orders him to go after the team to stop them from going through with their plans to return to the past. Daisy fights him off and is seemingly able to stop him, but later Coulson is shown to be infected from the same substance. Kasius' seer is finally revealed, and it's a version of Yo-Yo from the future that has lived through the time loop and consequently suffered tremendous torture. The current Yo-Yo meets her and is shocked by the revelation. 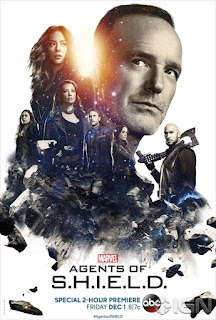 Future Yo-Yo says that the team returning to the past will be the very thing that brings about the destruction of their world and the only way to stop it is to allow Coulson to succumb to his infection. Flint follows Simmons' instruction in order to recreate the monolith while Mack heads out to find Yo-Yo. Ultimately, Mack witnesses Kasius kill the future Yo-Yo, after which Kasius consumes the remaining odium and attacks Mack. A fight ensues and eventually Simmons is able to intervene and help Mack kills Kasius. Mack is overjoyed to reunite with the present Yo-Yo, who is still alive. Deke returns to the Zephyr just in time to save Enoch and fix the machine, though it appears as though both have been sacrificed as the price for the team being able to return to the present.